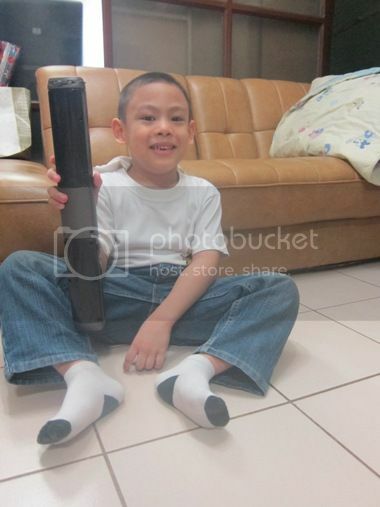 A big paper bag was left in our lobby guard last January 9, 2010 containing two items, one for me and one for my son. The package came from my very good friend Ana. Ana was a really good friend back in high school. According to her, I wrote poems for her when we were in high school, which she’s still keeping to this day. How come I didn’t remember that? LOL! 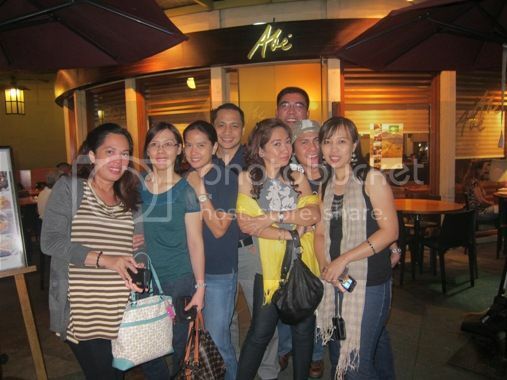 That’s my friend Ana (wearing brown-striped shirt) beside me and our high school classmates during our August 2011 meet-up at Serendra! It took 23 years for us to see each other again. The last time we saw each other was after high school graduation. She stayed in the U.S. for six years to pursue her nursing career, and she came back last year to deliver her second child here in the Philippines. That’s when we were finally able to catch a glimpse of each other after all these years. So what’s inside the paper bag? This Victoria’s Secret gift bag was Ana’s Christmas gift to me. Actually, I’m considering it as my early birthday present. This gift bag contains Pure Seduction® hydrating body lotion, fragrance mist and daily body wash. I super loved this! The little boy likewise received a Christmas present from Jed, Ana’s son who recently celebrated his 7th birthday with an angry birds-themed party that we attended, too. The little boy was too excited to open his gift and play with his new toy. See that toothless smile on his face? Thank you very much, Ana! We loved your gifts, but more than those presents, I really appreciate your friendship. 24 years and counting, has it been that long? Now that reminds me I’m getting really old. LOL! This entry was posted in Christmas Gifts, Gift of Friendship, Happiness Is..., Mommy Moments. Bookmark the permalink. The friends you make in high school are the friends you’ll have for life. This holds true for me. Almost all of Yue’s godparents are my high school barkada, which is why we don’t bother going out during Christmas para mamasko. My friends come over to our place instead para reunion party na rin. Aw super happiness nga yan! At ang sweet and thoughtful ng best friend mo ha? I too still keep letters and cards from my highschool bestfriends. Ang sayang alalahanin lahat ng moments! Come see my happiness too! wow! antagal nio hindi nakita isat isa… so happiness talaga yan sobra! and shes sweet! Naku!! naman!! ako man makatanggap nyan eh!! happiness to the max talaga!! pero it’s really the thoughts that really matter!! So sweet of your friend to give you such nice gifts! 🙂 I love the gift bag because it’s so PINK! Haha! 🙂 Thanks for the visit sis. How thoughful naman your friends ate. Love the photos, Justin is getting more handsome every time. Sorry for getting you confuse, I have more than one entry. Ingat and thanks for the comments. high school friends. i do miss mine too. wish i could have met with them more often too. I ♥ VS! You’re one lucky recipient! But your friend is lucky twice as much to have you as a friend. 23 years of friendship? WOW! That’s no mean feat! awww! what a sweet friend you have Sis 🙂 I love VS too and those gifts smells good too. 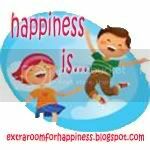 Visiting from Happiness is, hope that you can return the visit too. Napakabaet naman po ng mga friends nyo. Pero sa totoo lang high school life and friends ang pi nakamasaya at di ko makalimutan na pangyayari sa buhay ko.